Our cooperation with Lindab started in 2007, and since then, we continue to create together. A watershed project was the 20 years anniversary of Lindab activity in Romania, marked by two important events: a press conference and an anniversary Gala. Creative umbrella: I love Lindab! Two decades ago, Lindab introduced in the Romanian vocabulary the term metal tiles. In 2014, after 20 years of sustained activity, there are already over 100,000 original roofed Lindab building across the country. 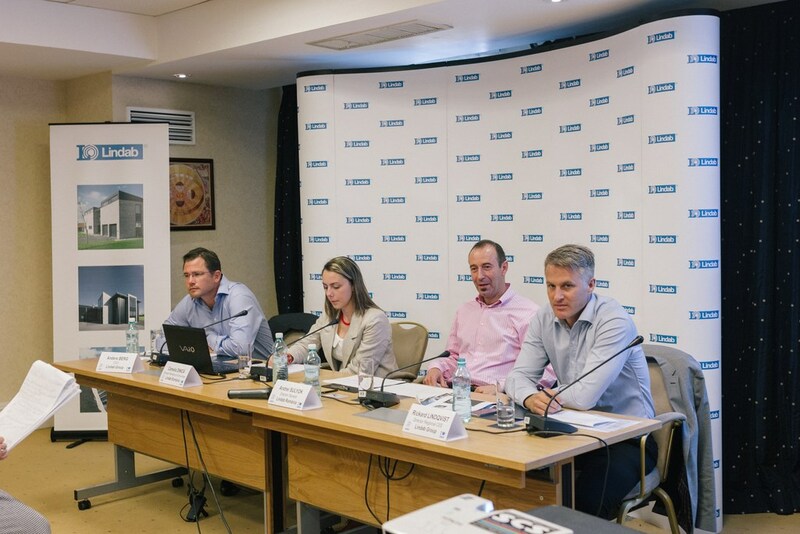 The press conference was attended by gentlemen Anders Berg, CEO Lindab Group and Rickard Lindqvist, EEC Regional Manager, for the first time in Romania. Andrei Sulyok, General Director Lindab Romania, has presented to the journalists what were the most important moments in the evolution of Lindab in Romania, what the organization currently means and what are the prospects for the future. The Gala event was a true declaration of love for the people, products and values of Lindab. Artistic dance moments, anniversary movie, board with messages, meeting with a champion – Adrian Petre (national record holder at classic push-ups the world record at push-ups made on the back of the palms and the winner of the first stage of the Championship Quality for resistance), awarding the most loyal partners and employees and a lot of dancing, enjoyment and party mood! We really love Lindab!